The nominations for the 2018 Grammy Awards were recently announced, and several of the artists who were nominated were artists that we've worked with in the past. You can see some of those artists here. Because so many artists that we've worked with were nominated, we felt like proud parents, and thus created a brand new Grammy Spotlight series where we feature one of those artists every day leading up to the award show, which takes place on Sunday, January 28th. 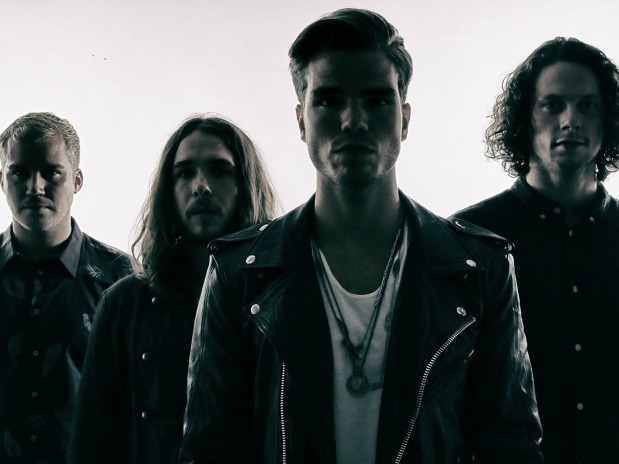 For today's Spotlight, we're featuring our favorite Icelandic rockers Kaleo, whose song "No Good" off of their album A/B was nominated for Best Rock Performance. The song is quintessential rock 'n' roll, and hearing the soulful energy of the other A/B songs live during our visit at Atlantic Records, where we hosted a session with the band, was a spine-tingling experience. They played "Broken Bones," "Way Down We Go," and their smash hit "All The Pretty Girls," pretty much perfectly, with singer/guitarist JJ Julius Son reaching up high to a beautiful falsetto over a bed of warm guitars. Kaleo made an excellent rock record and we wish them the best of luck at this year's Grammy Awards!